Barocci was born in Urbino and apart from two trips to Rome early in his career was based there all his life. 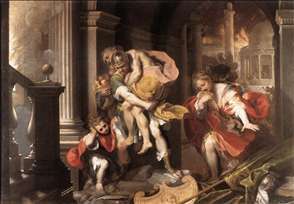 Barocci acted as the linchpin that joined the great masters of the sixteenth century with the new art, from Carracci to Guido Reni, that was to emerge in the next century. Barocci trained in his native Urbino with its incredible artistic legacy. He seems to have been particularly conscious of Raphael s contribution to his own style. 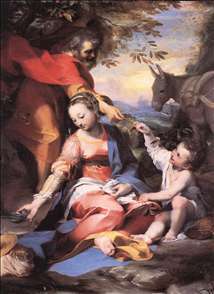 From his earliest work he incorporated Correggio s sunny grace enriched with his personal and warm taste for Venetian colour. After an unhappy stay in Rome he returned to Urbino for good (1565). He is said to have abandoned his frescos in the Casino of Pius IV in the Vatican Gardens (1561-63) for fear that rivals were trying to poison him, and the hypersensitive temperament this suggests comes out in his work. 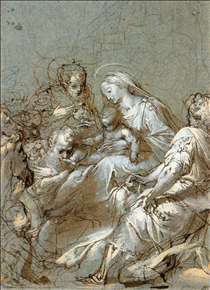 The fact that he was not in the centre of the cultural world did not stop Barocci from wielding decisive influence, thanks also to the way that he stuck exactly to the Counter-Reformation s tenets on religious art drawn up at the Council of Trent. His compositions had a simple and direct fluidity and included touching details from everyday life. 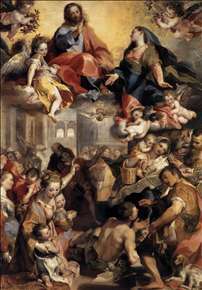 This did not, however, stop him from attempting more ambitious compositions from time to time, such as The Deposition in Perugia cathedral, 1569; The Virgin of the People (Florence, Uffizi, 1576-79); The Martyrdom of St Vitale (Milan, Brera, 1583). In these paintings we can see how he gradually tried to introduce a feeling of wider space. 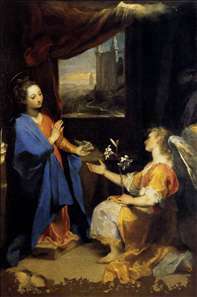 In his later works, Barocci s spirituality and contemplative nature emerged more clearly, pointing decisively toward the beginnings of the Baroque . His colour harmonies are sharp but subtle and, although his paintings often convey a feeling of intimate tenderness, his handling has great vigour. 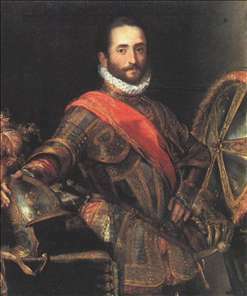 Despite the fact that he worked away from the main centres of art, his work was much sought after, his patrons including the emperor Rudolf II. And although Barocci constantly claimed to be ill, he had a long and productive career; he was prolific as a draughtsman as well as a painter and was one of the first artists to make extensive use of coloured chalks. 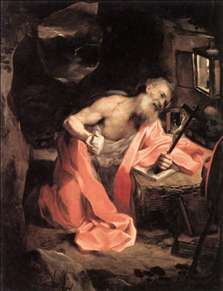 Barocci is generally considered the greatest and most individual painter of his time in central Italy; certain features of his work are thoroughly in the Mannerist tradition (his rather indefinite treatment of space, for example, and his delight in fluttering draperies), but in his directness and freshness he looked forward to the Baroque. 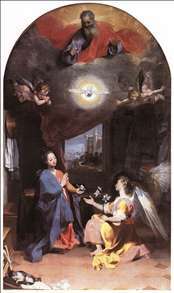 Bellori, the pre-eminent biographer of the Baroque age, considered him the finest Italian painter of his period and lamented that he had `languished in Urbino . 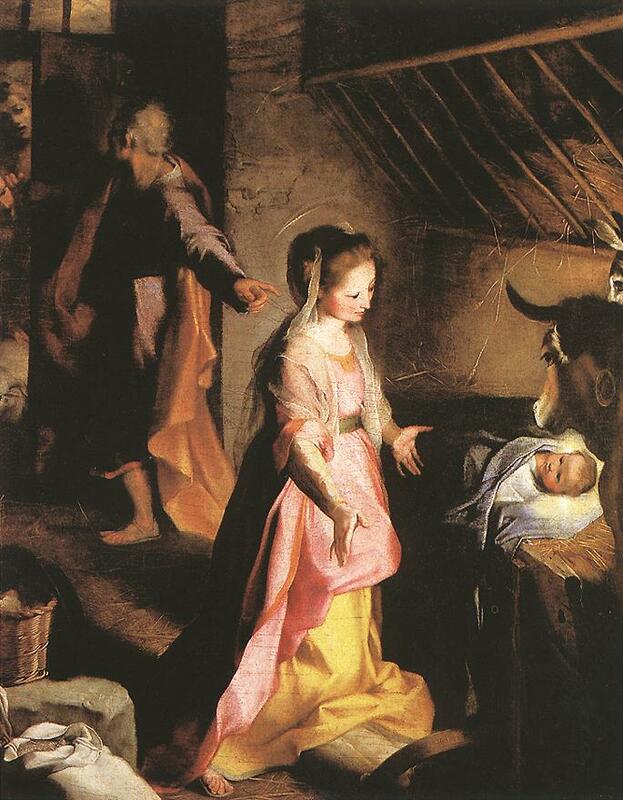 See more details about "Aeneas' Flight from Troy"
See more details about "Rest on the Flight to Egypt"
See more details about "Francesco II della Rovere"
See more details about "The Nativity"
See more details about "Madonna del Popolo"